Conceived and manufactured for ambitious self-confident women who change their style for any occasion, Coconuda women’s wear launches every year multifaceted collections from chic evening dresses for a super glam atmosphere to everyday jeans with sequins. As for leather clothing, the company offers jackets and gloves for a timeless fashion. For younger women, tops, shorts, miniskirts and halters. Since the company aims at meeting their customers’ needs thoroughly, accessories for a stylish and quality clothing cannot be missed. 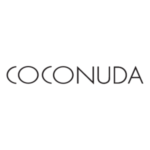 Coconuda has a great attention to market trends and is willing to follow the lure of fashion.